"Exciting", "imaginative" and "delicious": my simple criteria for the perfect meal. Surprising then that only The Fat Duck (of best restaurant in the world fame) and L'Enclume (The Good Food Guide's number one) have ever hit the highest levels for me. 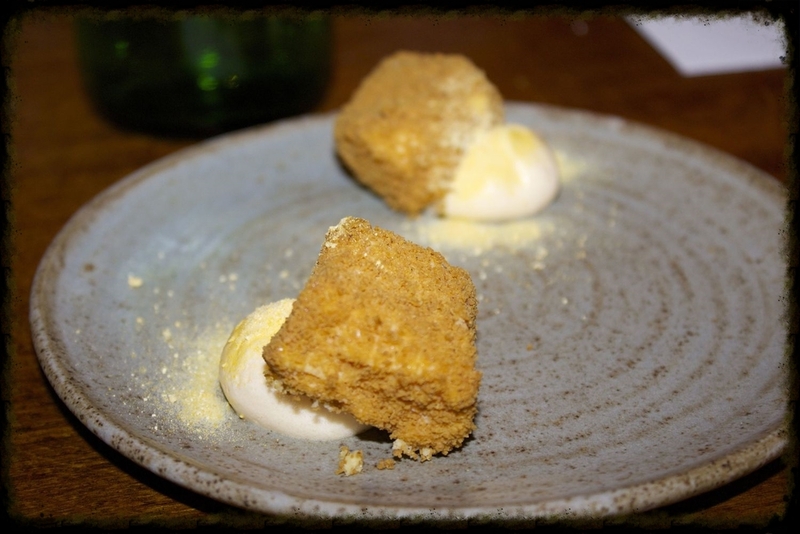 But, to that exclusive list, I now add Chiswick resident Hedone - brainchild of Scandinavian super-chef Mikael Jonsson. My nervousness about ordering a Michelin starred tasting menu that the waiter could not describe ("I've no idea what you'll get - but it'll be different to every other table here"), whilst perched on a bar stool like Norm from Cheers, quickly dissipated when the bearded lawyer-turned-chef-patron, lent over for a chat. "Excellent - I really need to get rid of some leftovers..."
Things started with the bread basket - so far, so dull. But the Hedone sourdough - supplied to a other michelin starred restaurants in the capital - was actually the reason I returned. The bread here really is good enough to bring any right sane person back for a second taste. From then on the food kept coming - with Mikael checking in every couple of courses to check I could take more of his perversely delicious version of the Chinese water torture. ...and a chocolate crisp, chocolate mousse and mint ice cream to finish. 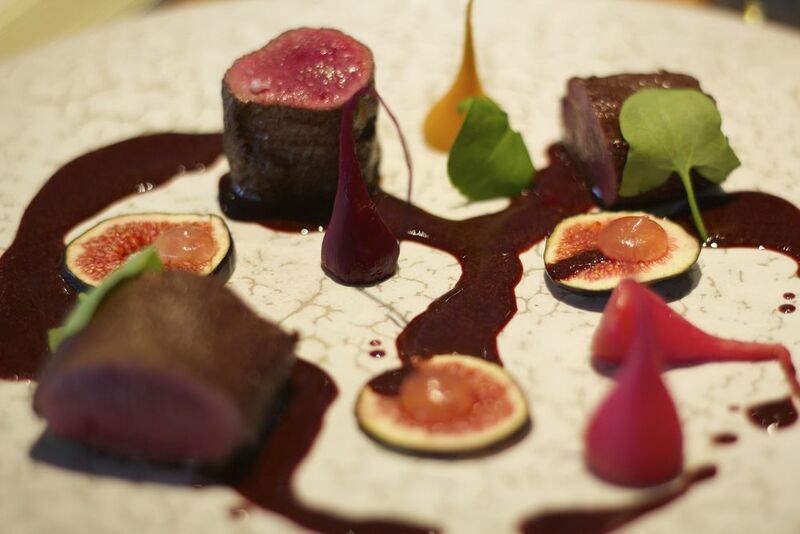 It's not unusual for chefs to use tasting menus to show off the latest impressive techniques at the expense of flavour, but here you'll find those same methods combined with perfectly executed traditional cooking to deliver the most delicious food you've ever tasted. Anyone who can do this much with a few "left-overs" is a genius in my book and judging by the words of super chef Tom Kerridge on the downstairs wall, I'm not the only one to think so. Simon Rogan has been building an impressive CV. After learning his trade under Jean Christophe Novelli and Marco Pierre White, he recently won the Catey best restaurant and best chef "double" - the first in more than 30 years. L’Enclume, his 2 starred flagship, is one of just 11 restaurants in the UK with 5 AA rosettes and knocked the Fat Duck from top spot as Britain's best according to the 2014 Good Food Guide. 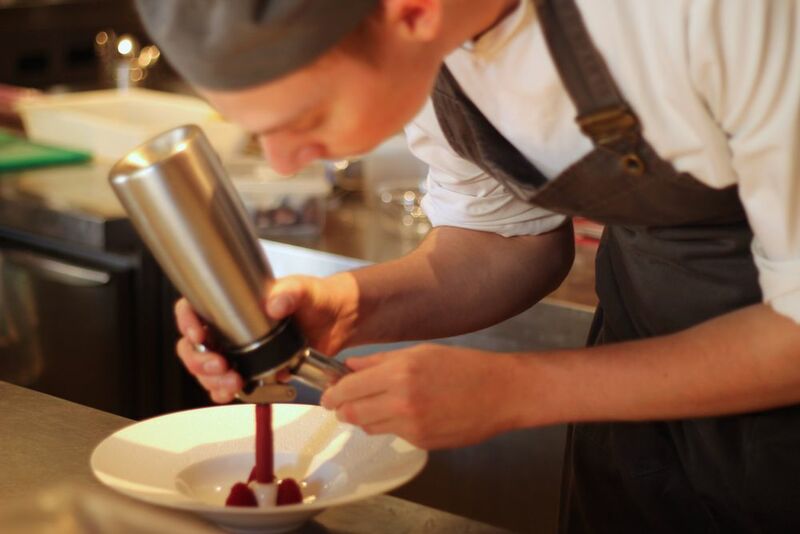 One of his chefs won this years prestigious Roux scholarship and he’s recently taken over from Gordon Ramsey at Claridges, where he has publicly stated he is looking for 3 michelin stars at the £3m Fera. This man is not short of accolades…nor ambition. Situated in the idyllic village of Cartmel (of sticky toffee pudding fame), L’Enclume is housed in an 800 year old blacksmiths just minutes from Lake Windermere. This rugged setting is perfect for the naturalistic style of Rogan’s cooking, which fuses leading edge technique with locally foraged flora and fauna, much supplied by his own farm. On the night we visited we were treated to an incredible 21 course tasting menu kicked off with Oyster Pebbles "if you can't spot the real ones, this could be a long night"; cod yolk made from various "fish bits" coloured with saffron and served with salt and vinegar puffed rice; the L'Enclume hot pot with spherified potato, lamb and red cabbage; poached quails egg with a black garlic yolk; and a suckling lop served with a brutal looking sabre but which could be cut with a wooden spoon it was so soft. This wasn't the sort of food you cook at home. A 22nd course for the birthday boy! To be honest I was looking forward to a good gripe about over-pretentious, over-worked cooking but this was just too good. 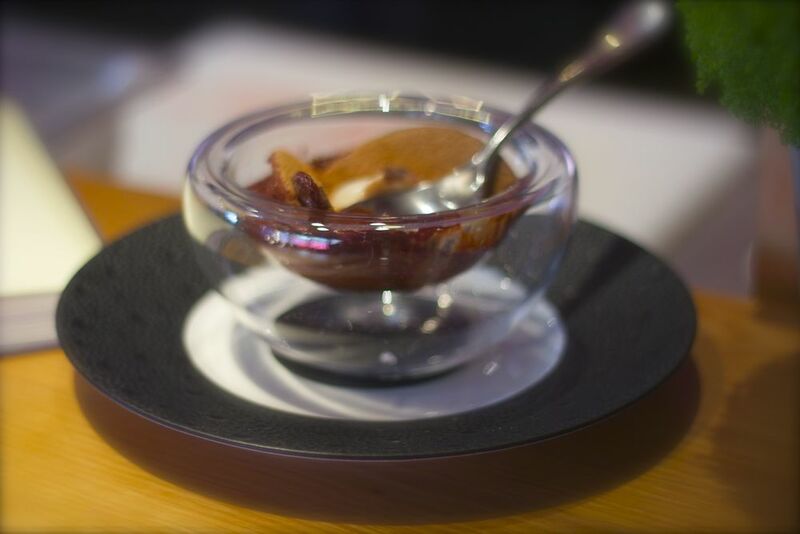 The food here demonstrates the level of technique that made Heston Blumenthal a star, with flavours and presentation that turn foraging into a fine-dining spectacular. As well as the cooking, the service was as good as you'll find – we enjoyed a Harvard-esque debate on the topic of world-class service with the brilliant maître d’ before being given a guided tour of both the service and development kitchens. Given the 266 mile each way drive from London, I would recommend making a week of it to take in the natural beauty of the Lakes and the hospitality of the local hostelries, but if you decide just to come for the food I promise you won't be disappointed. 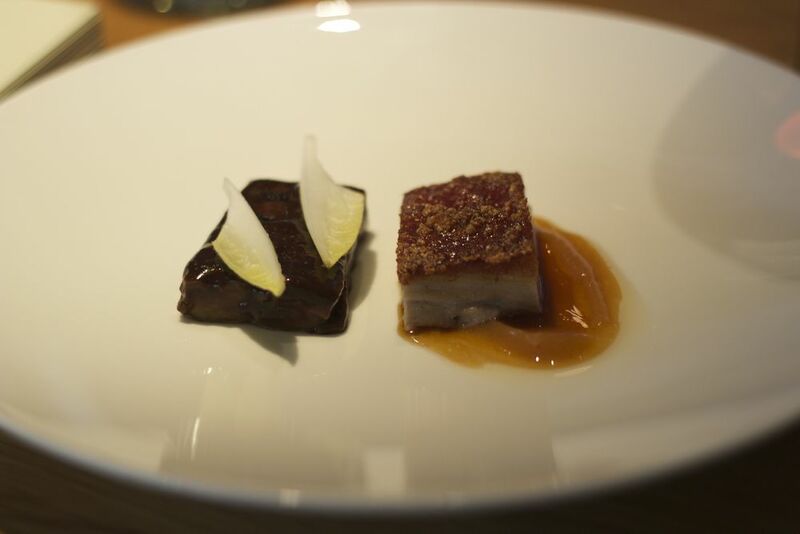 I’m sure getting a table at Fera will be nigh on impossible for the next few years, and even worse if Rogan delivers on his 3 star promise, so take a trip to the Lake District and immerse yourself in the original jewel of the Rogan empire…and if you get really hungry, there's always the sticky toffee pudding. One of the perks of a food bloggers life is the occasional invite to offer your two-penneth-worth on a new restaurant. So it was that I found myself asked along to sample the dishes at Layla – a recent addition to the culinary heart of Wimbledon Village. Layla has been serving authentic Lebanese food to the well-heeled residents of Esher for years and opened this second branch eight months ago to some pretty positive reviews. The restaurant itself provides a perfect backdrop for this type of cuisine. There are ornate chandeliers bigger than the average London maisonette, carved alcoves providing privacy to loved-up couples and swathes of draped fabric in the oversized skylight - presumably to make diners feel like they’re in a posh Bedouin tent. 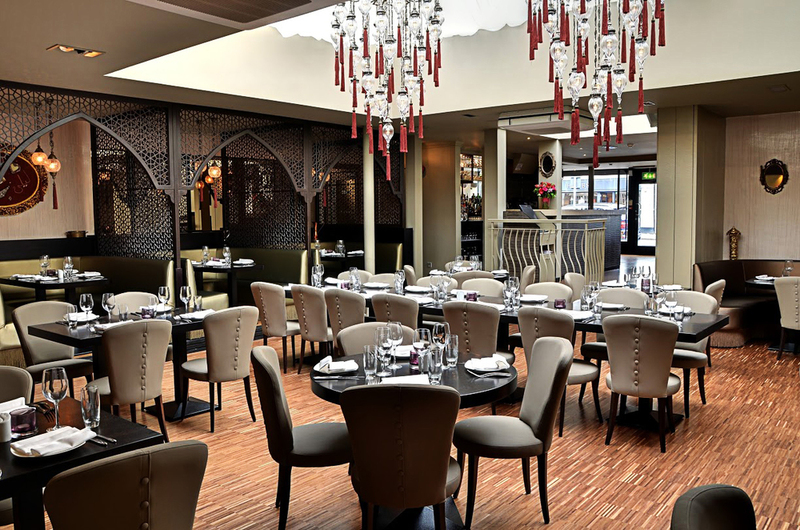 The menu is full of delicious Middle-Eastern morsels including mezze, spiced meats and marinated fish dishes and is a great alternative to the typical high street blandness served-up by many of the surrounding chains. We started with the hot and cold mezze platter, made up of the usual suspects of hommus, baba ghannuge, muhamara, flat breads, falafel and Kibbeh (Lebanese meatballs) - all classics and completely delicious. We particularly liked the muhamara: a spicy red pepper, walnut, chilli and pomegranate dip. I let the chef choose my main course and was rewarded with "Castaleta Ghanam" - perfectly chargrilled lamb cutlets, on a bed of baked potatoes and roast vegetables. For dessert, our waiter recommended the raspberry crème brûlée. Whilst tasty, I was left a little perplexed how this fitted into the Persian menu and wonder whether it couldn’t have been infused with some middle eastern flavours (maybe a little rose water or pomegranate molasses?). All in all, Layla has got a lot of things right – the environment, the service and the quality rustic food were all top notch – however, this is not cheap, so you can’t help thinking that extending the lunch time deals might get the Wimbledon locals out of their post-winter slumber and create a midweek atmosphere to match the weekends. 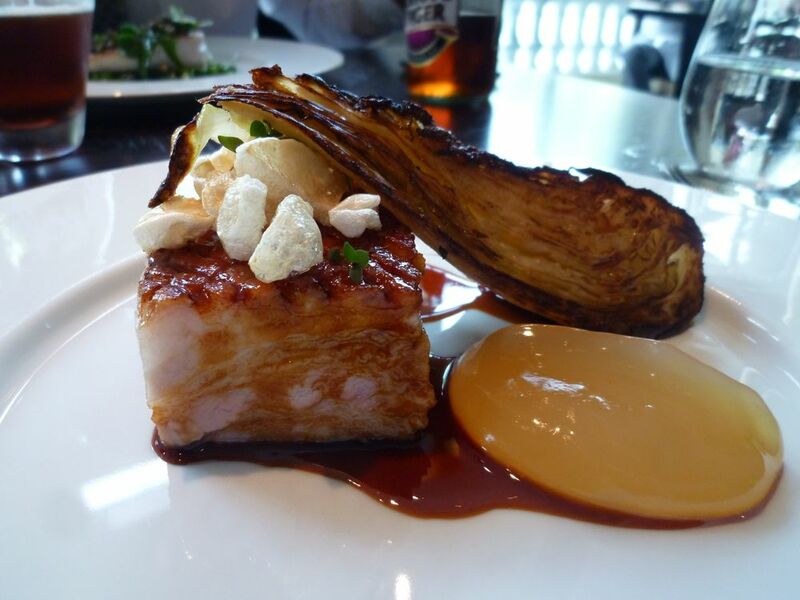 Simon Hulstone is a highly decorated chef. As well as the proud owner of one quarter of the Michelin stars currently residing in Devon he has also captained the UK culinary team, won junior world championships, is a Roux Scholar and designed the British Airways 2012 Olympic menu with a certain Mr Heston Blumenthal. Given this background, it's perhaps a surprise that he is not working in a more lucrative location but he stays because of his family roots and belief that the South West larder is as good as any on the planet - and long may that continue. That fine dinning is more than a job is evidenced by the decoration adorning his restaurant walls – there are no Turner landscapes or modernist depictions of courgette flowers here. Instead you'll find menus from the various three starred restaurants where he's eaten. Let's be honest, you have to have some confidence to actively encourage diners to compare the food on their plate with the best haute cuisine on the planet, but equally you have to think that the world would be a better place if every chef shared this level of open ambition. These same standards shine through in the other aspects of the restaurant, from the food to the staff that serve it - in fact, the Maitre D’ is as good as any I have experienced. 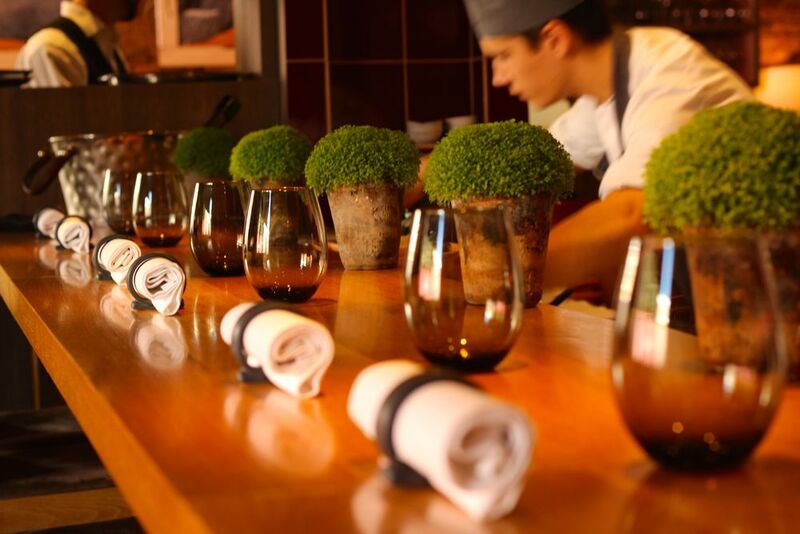 As with many fine dining establishments, The Elephant only serves a multi-course tasting menu designed to show off the best of local ingredients and the skills of the kitchen. 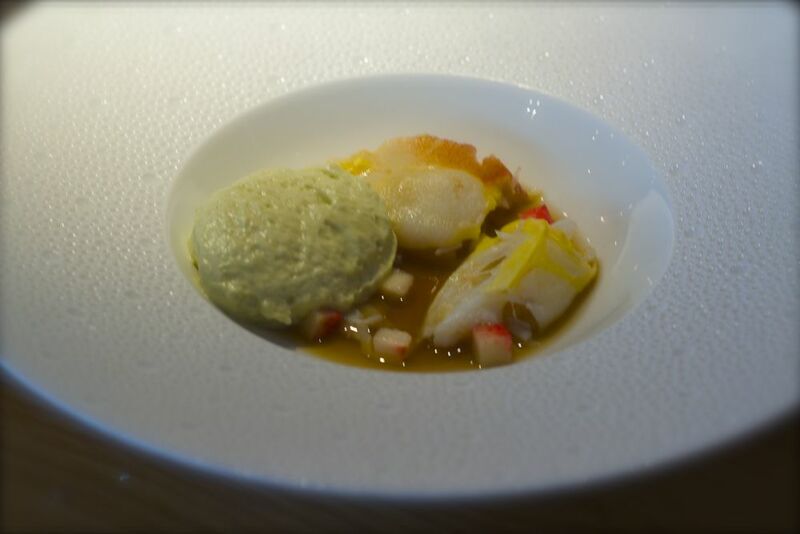 On our visit that included a stunning heritage tomato consommé, locally foraged wild garlic soup, and trout mis cuit served with an ingenious squid ink tuile - which, unless you have a dehydrator, don’t even think about trying to recreate at home! 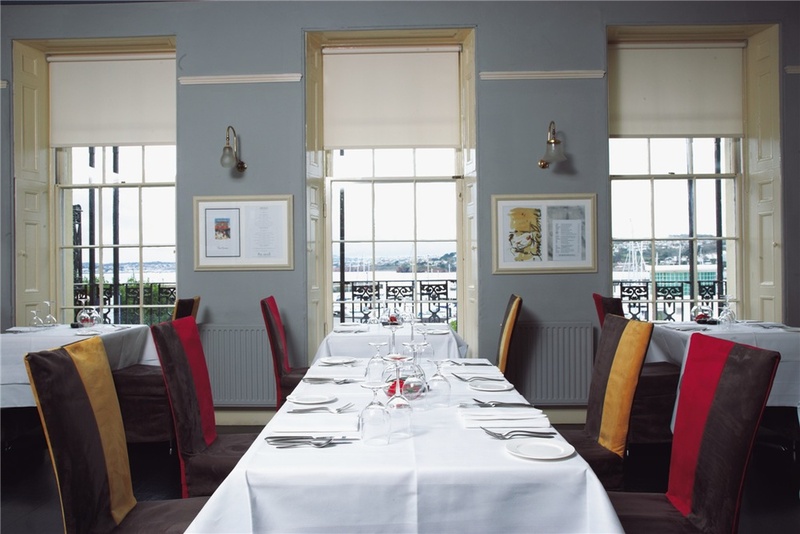 Overall the menu was light well-balanced and full of intense flavours as you'd expect from food at this level, making the Elephant a real jewel in the crown for the English Riviera. The fine dining restaurant is now closed for the winter, reopening in May 2014, whilst the team develop dishes for next season. However, whilst these are refined they are likely to appear on the menu at the more informal brasserie, which shares the same kitchen, and so it's worth visiting this little gem on the English Riviera no matter what the time of year. Dinner by Heston Blumenthal opened in the Mandarin Oriental Hotel, opposite Harrods, two years ago. Despite its relatively short life it was recently added to the prestigious list of restaurants with two Michelin stars and, at number 7, was the highest new entry in the Pellegrino World’s Best Restaurants list. Despite this, it is still surprisingly accessible - particularly if you go for a mid-week lunch sitting. Executive Head Chef Ashley-Palmer Watts runs the show, as well as continuing to oversee recipe development at the legendary Fat Duck. For years, he has been a leading advocate of using our gastronomic past to develop cutting-edge British cuisine, rather than losing this important body of knowledge forever. Dinner is the result of that work. The restaurant itself is bright and airy, with floor to ceiling windows overlooking Hyde Park. 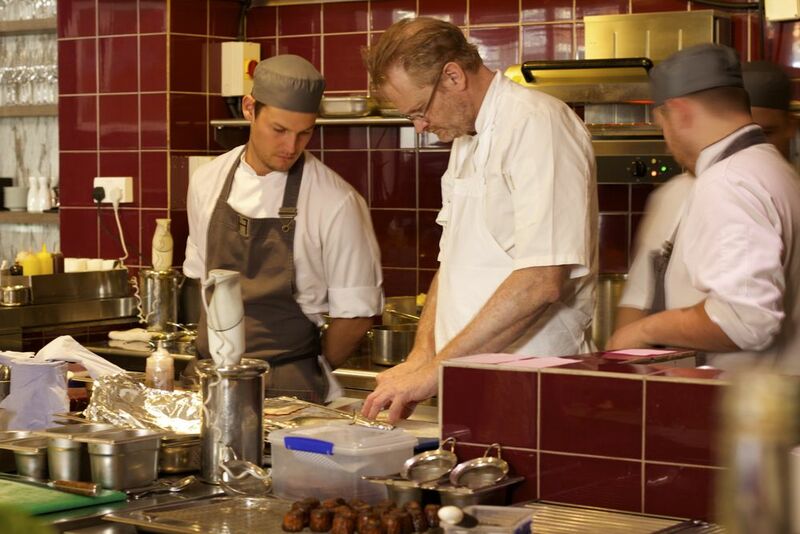 You also get to see the chefs working their magic with just a glazed wall separating the diners from their hosts. One of the more intriguing aspects of the uber-smart kitchen is the mechanical spit with its unique pulley system, inspired by one that originally appeared in the Royal Courts. 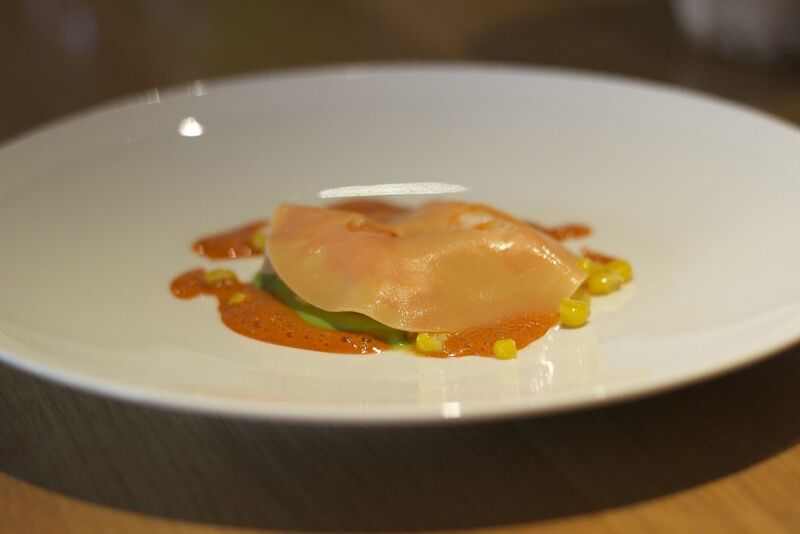 In terms of the food, you don’t get the same theatre associated with dishes from its 3-starred sister, but you will find superbly cooked cuisine inspired by the very best historical recipes. The menu comes with a reference list of the books that led to each creation, such as the strawberry tart inspired by the fantastically named “Book of Cookrye Very Necessary for all such as Delight therin” from 1591. We had the fixed price lunch menu (£38 for three courses): vibrant dressed snails with the intriguingly named “salty fingers”, unctuous 36 hr pork belly with smoked cabbage and a millionaire tart with crystallised chocolate. 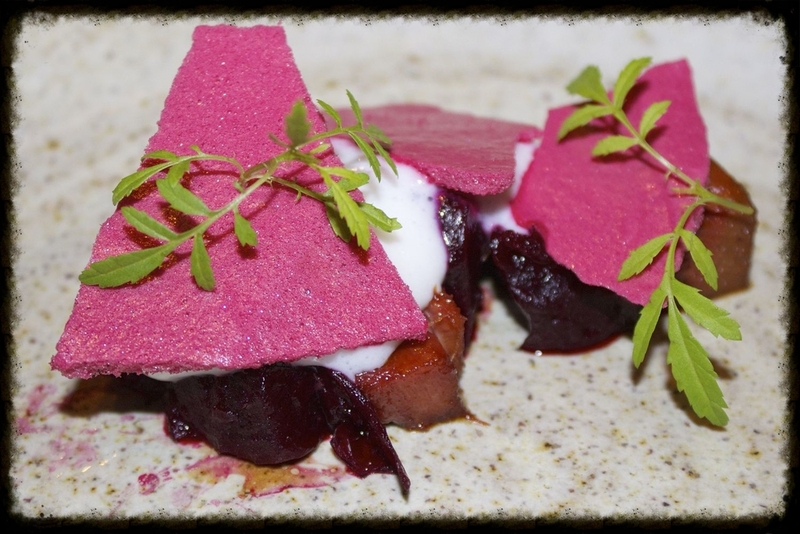 If you want to go a la carte you will also find many of the classics from other Blumenthal establishments such as meat fruit and nitrogen poached ice cream made at the table. The food was superb, as you’d expect, the setting is beautiful and the service was surprisingly informal – we were served by an unfortunately upbeat Australian, who still believed they were going to win the Ashes – all hallmarks of a great restaurant.